Beginner to advanced, adults and children. MusicSmart welcomes learners of all ages and stages. Try an individual lesson or learn with a family member or a friend. MusicSmart teachers are highly qualified, skilled teachers with enhanced DBS checks who have undertaken Safeguarding Training. Lessons will be creative and enjoyable for students of all ages and teachers will keep parents informed of progress and promote opportunities for music examinations and performances. 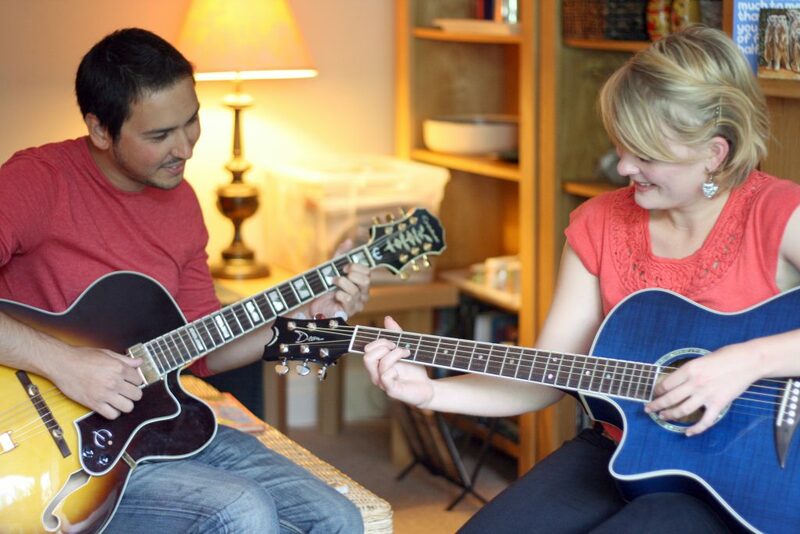 Contact MusicSmart to book your lessons. Specialising in GCSE and “A” level tuition, we can offer revision sessions catering for individual students´ needs. If you need help with Composing, Performance skills, including how to choose the performance pieces to maximise potential, or revision for the Listening papers, our teachers at MusicSmart can help put together a bespoke education plan for your students. All exam boards are covered. Paula has taught both my daughters to play the piano. Paula’s kind and gentle manner has ensured that they felt supported whilst continually improving and developing. The girls always enjoy coming to their lessons with Paula. “She doesn’t mind when you get something wrong”. ~ Madeline aged 10.